Motorola and Sprint have just announced that they are launching two new Android smartphones, the Motorola XRPT and the Motorola Titanium, one is designed for business users, whilst the other is designed to be a rugged Android device. 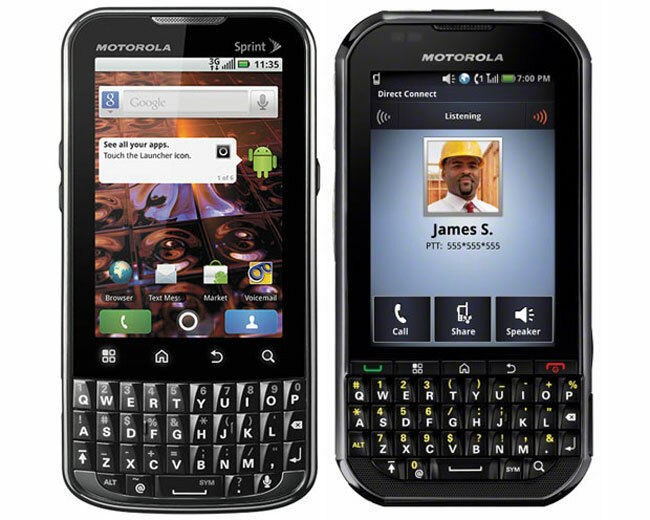 The Motorola XRPT features enterprise class security, with 256-bit AES data encription, plus enterprise controlled security, including remote wipe, and password recovery. The XRPT features a 3.1 inch HVGA display, with a QWERTY keyboard, a 1GHz processor, and it comes with Android 2.2 Froyo, it will be available in June for $129. The Motorola Titanium, is designed to be a rugged Android smartphone, it features a 3.1 inch touchscreen display, and will come with Android 2.1, it meets military specifications for dust, shock, vibration etc, there are no details on pricing for the Titanium as yet. Take a look and our article on Android vs iPhone to see which smartphone and mobile platform is best for you.